Free shipping on U.S. orders of $125 and over. Shop my collection of hand-signed archival-quality giclée prints. 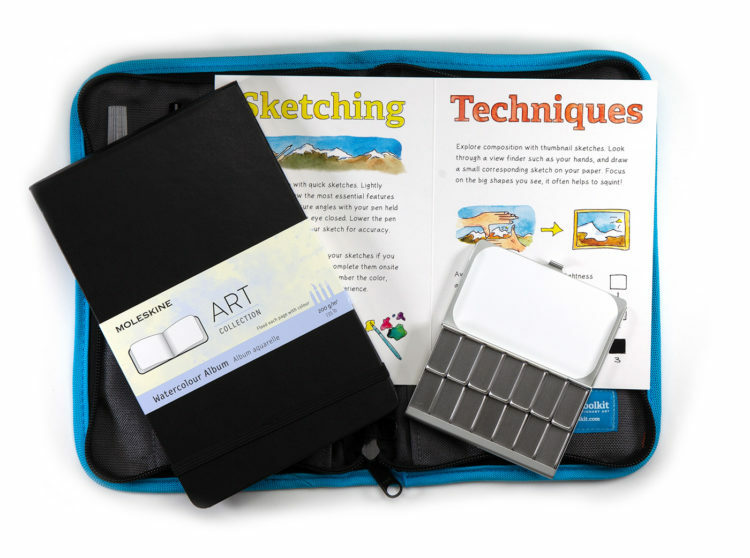 This versatile and rugged kit includes all you need to start sketching and painting, from mountain to urban adventures. I’ve included my favorite materials, all tested in the field to meet my own high standards for quality. Learn how I developed the kit on my blog and also see examples of the Art Toolkit in action! Custom made in Seattle, weatherproof Cordura zip cover with exterior gear loops, 4 front pockets, and 5 back pockets for organization (easily carries two Pocket Palettes). Measures approximately 6 1/2″ x 10″ when closed. Moleskine 8 1/4″ x 5″ landscape watercolor sketchbook (will also accommodate 8 1/2″ x 5 1/2″ books of similar thickness). 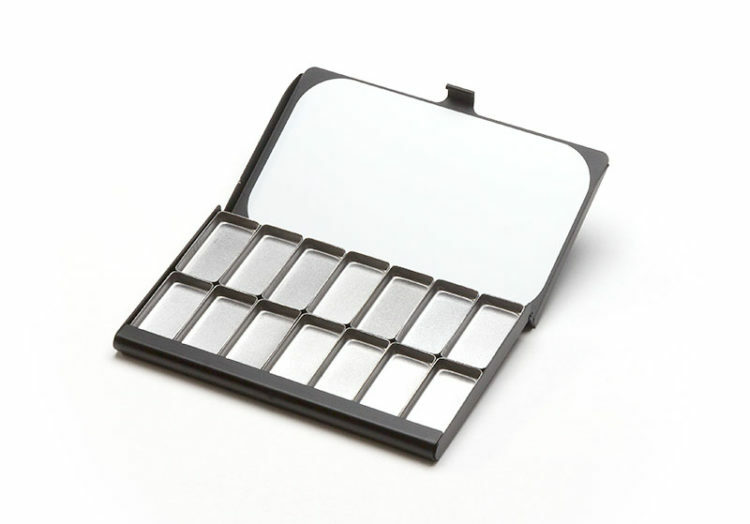 Pocket Palette with 14 magnetic removable pans (additional pan sizes available in accessories below). Waterbrush, waterproof fine pen, pencil, and 6″ flexible metric/english ruler. Four page insert with sketching tips and techniques to help inspire you. 2 binder clips, refill syringe, and pocket mister. It’s all contained in a rugged, Cordura zip cover with three vertical pockets (can hold two Pocket Palettes) and three horizontal pockets. The full kit measures just under 5″ x 7 1/2″ when zipped up and fits nicely inside a purse or large pocket. Additional sketchbooks and palette pan sizes are available as accessories. 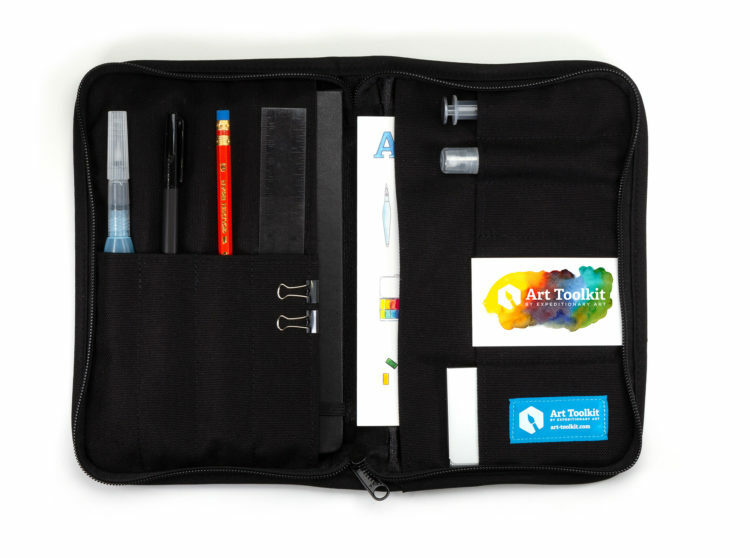 Learn more about the Pocket Art Toolkit on my blog and see examples of the Art Toolkit supplies in action! 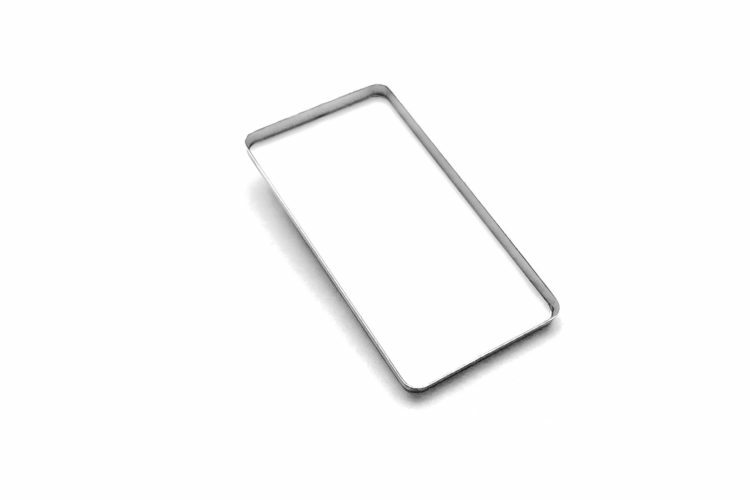 The Pocket Palette features a mixing surface, 14 removable pans on a magnetic base, and measures approximately 3 5/8″ x 2 1/2″ (about 92mm x 64mm). Updated in 2017, the pans are made of a highly corrosion-resistant stainless steel. 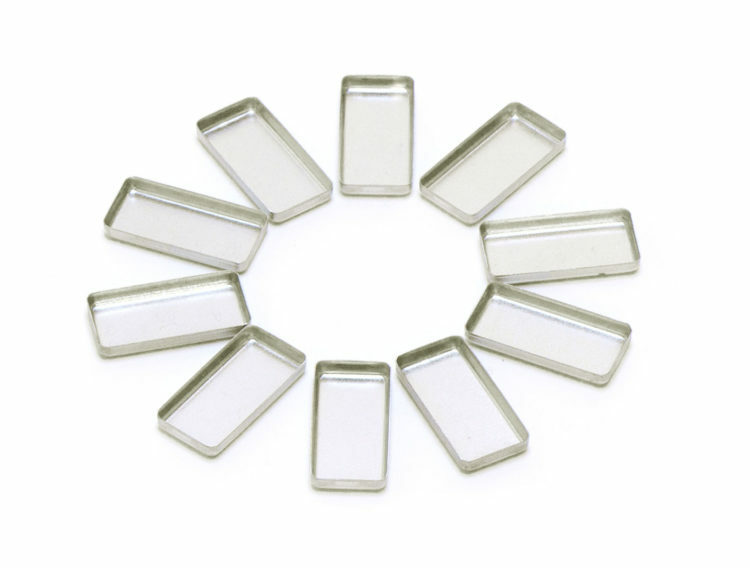 When closed, it is approximately 1/4″ thick (6.4mm), and the pans are about 1/8″ deep (3mm). The palette is packaged in a reusable cloth drawstring pouch. 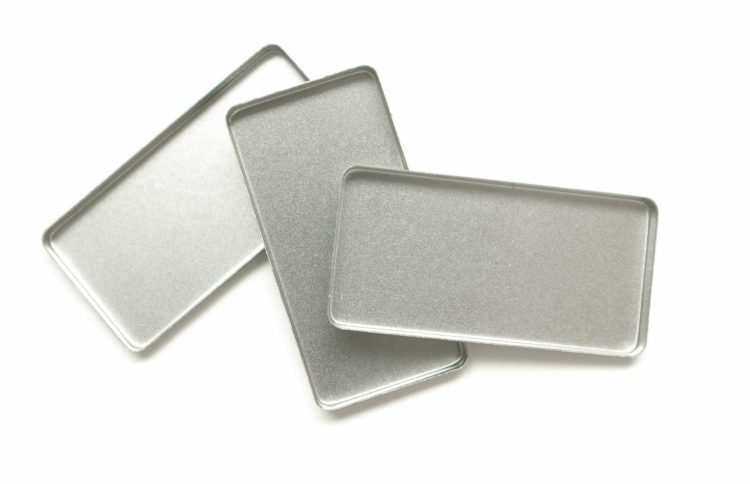 Additional refill pans are available in several sizes. 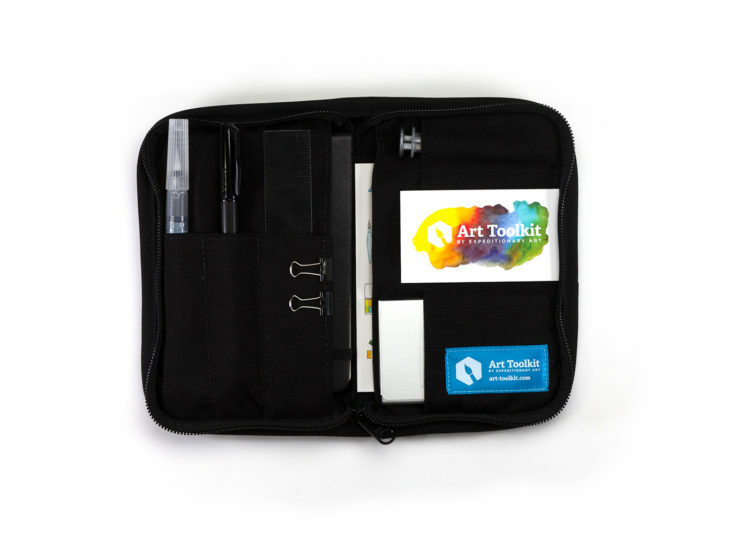 See examples of the Pocket Palette and Art Toolkit supplies in use around the world on my blog! Read about the new corrosion-resistant pans! 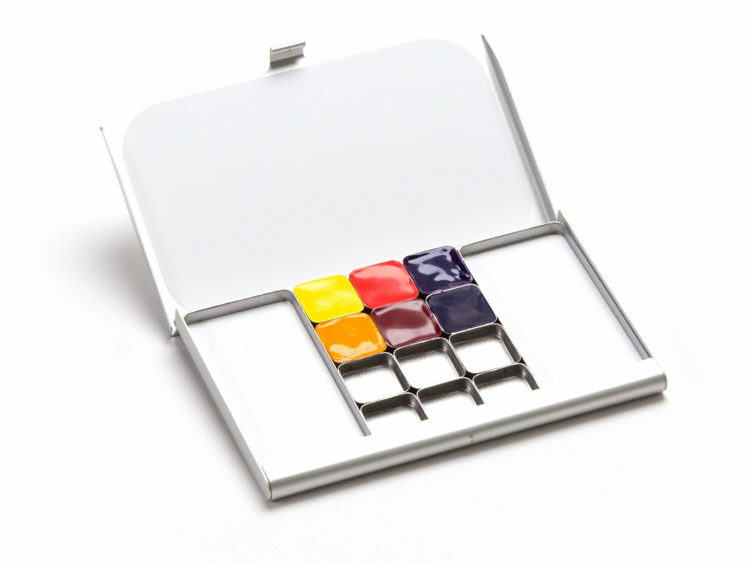 The Essential Colors edition of the Pocket Palette comes pre-filled with six essential colors by Daniel Smith, to give you a head start on your watercolor adventures. Two large white mixing pans provide plenty of space to experiment with color combinations, and six empty mini pans may be filled with your own watercolors. 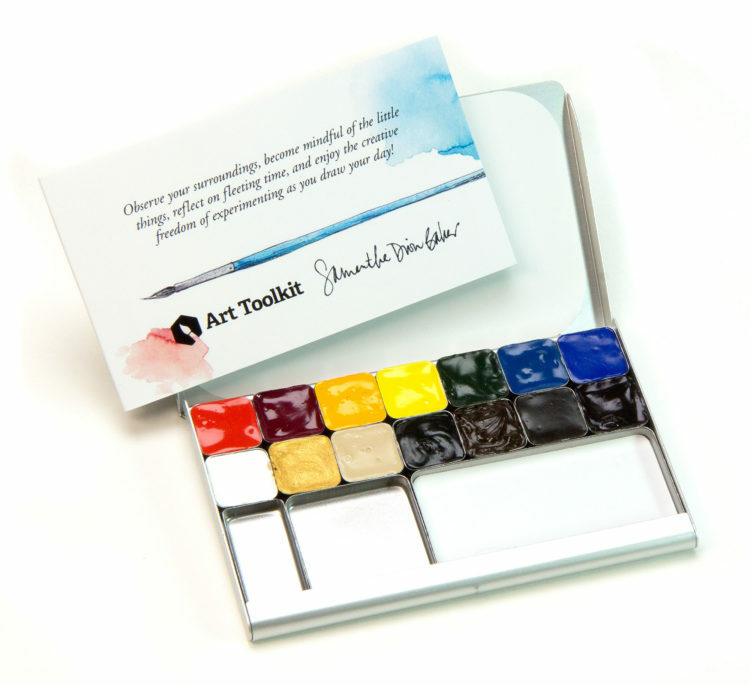 The Ultimate Mixing Palette is a collaboration with Australian artist and color expert Jane Blundell. 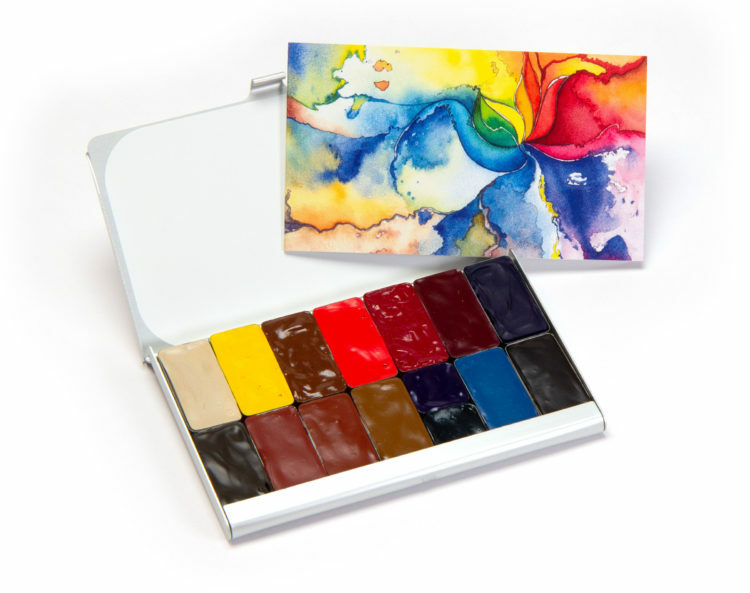 Jane designed this set of 15 watercolors to mix a range of vibrant colors, as well as feature a variety of watercolor properties, from transparent to opaque pigments, to staining and granulating ones. Learn more about the colors and Jane in this blog post and check out Jane’s book, The Ultimate Mixing Palette: A World of Colors for a comprehensive reference guide for mixing the 15 colors. Her books are discounted 15% throughout April! Quantities are limited! If we’re sold out, please email me to be the first to hear when we release new palettes. 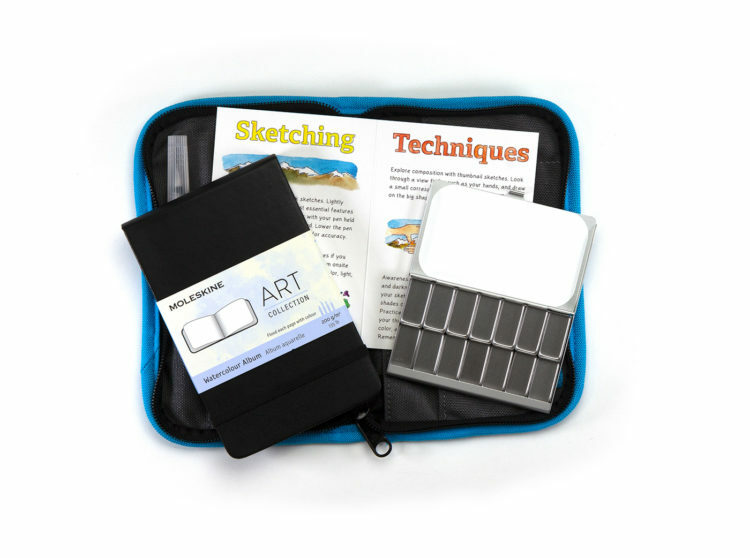 Jump start your journal sketching with the Draw Your Day special edition palette! This is a collaboration with New York based illustrator and designer Samantha Dion Baker. We’ve put together a palette of 14 brilliant pigments based on Samantha’s beautiful journaling and her book, Draw Your Day: An Inspiring Guide to Keeping a Sketch Journal. The palette is accompanied by a bi-fold guide to the colors and includes a special mixing pan with the same white surface as the lid of the palette Read more about the palette and Samantha on my blog! 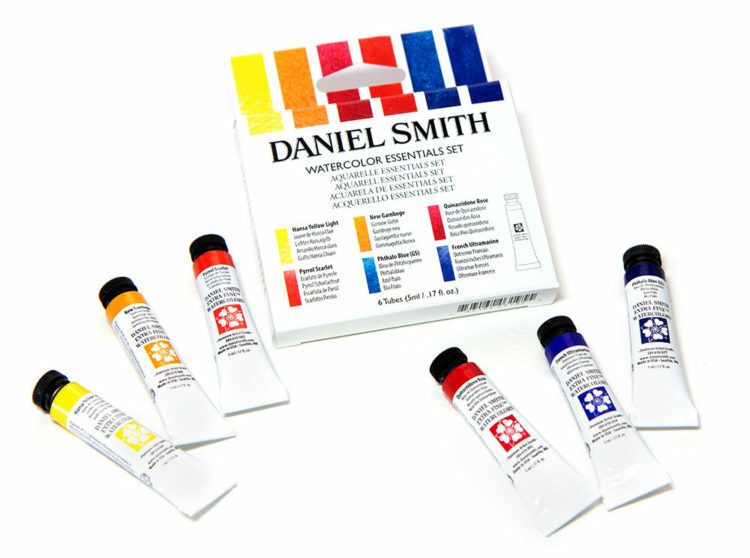 This vibrant set of six Daniel Smith paints provides endless mixing possibilities. These are the same paints that I use in my own work and they are manufactured in my home town of Seattle, Washington. Includes six 5ml tubes: Hansa Yellow Light, New Gamboge, Quinacridone Rose, Pyrrol Scarlet, Phthalo Blue (Green Shade), and French Ultramarine. Learn more about this set on my blog. Organize and change up your colors with these extra metal pans for the Art Toolkit’s magnetic pocket palette. Each pan is made of highly rust-resistant stainless steel and holds approximately 2.5 ml of paint. 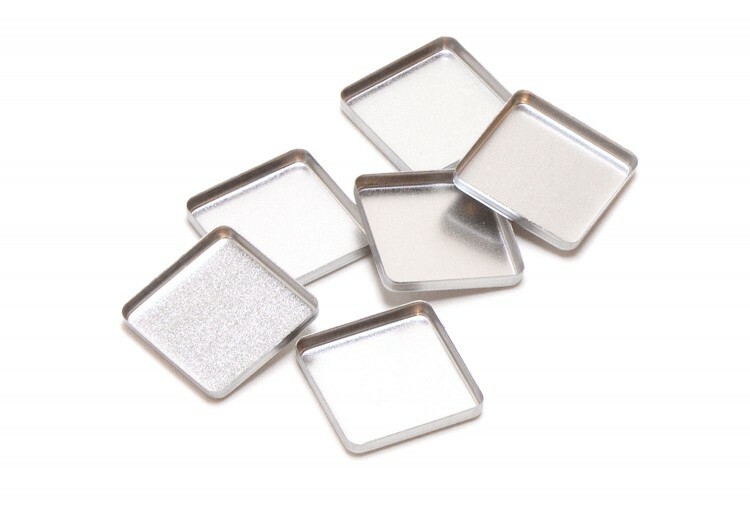 Expand your palette with even more colors using these mini square pans. Half the size of standard pans, you can fit a total of 28 in one Pocket Palette. Mix and match the pans in your palette and have fun with color! 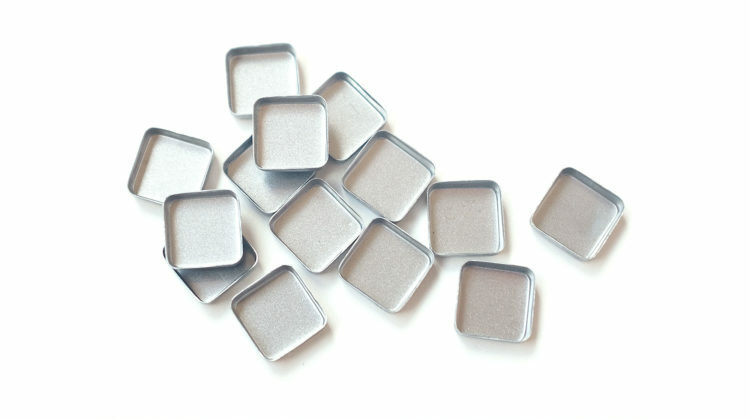 These square pans are twice the size of the standard Pocket Palette pans. Carry larger quantities of paint or use them for an additional mixing surface. These extra large pans are equal to 4 standard pans or 2 double pans. Use as an additional mixing surface or fill with your favorite paint! Expand the versatility of your palette with this special mixing pan that contains the same white surface as the Pocket Palette. 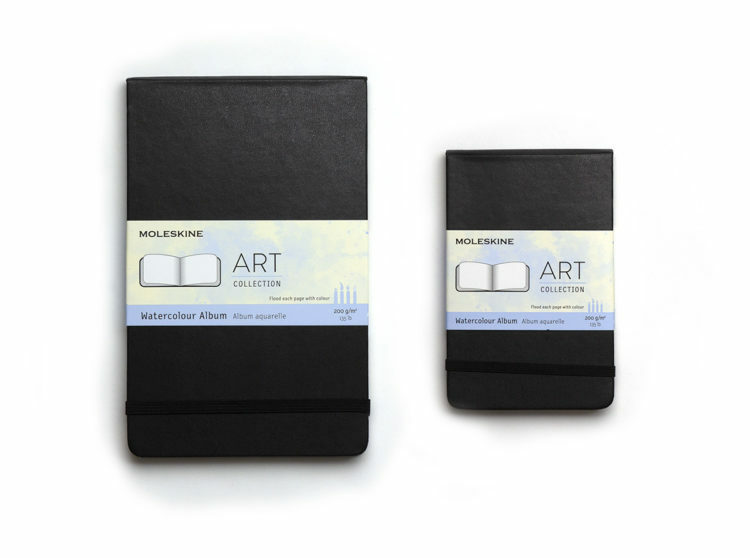 These Moleskine watercolor sketchbooks include acid-free, 135lb. paper that is smooth enough for ink, and heavy enough for watercolor washes. 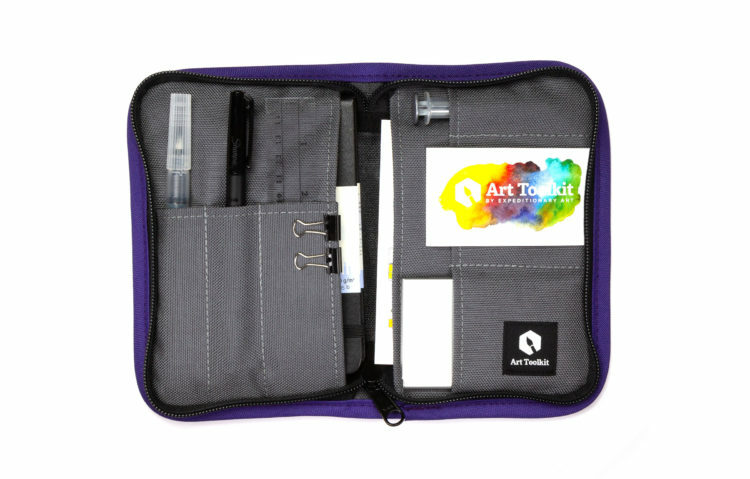 Landscape orientation with a durable hard-cover and elastic closure, available in small and large sizes to fit both Art Toolkits. This Pentel waterbrush is the perfect companion to the Pocket Palette. These brushes have hollow barrels that can be filled with water so you can paint on the go without carrying a separate water container. Use this tiny spray bottle to pre-wet your palette, dampen your paper, create watercolor effects, or to cool off on a hot day! At only 3″ long and 1/2″ in diameter, you can carry it anywhere. 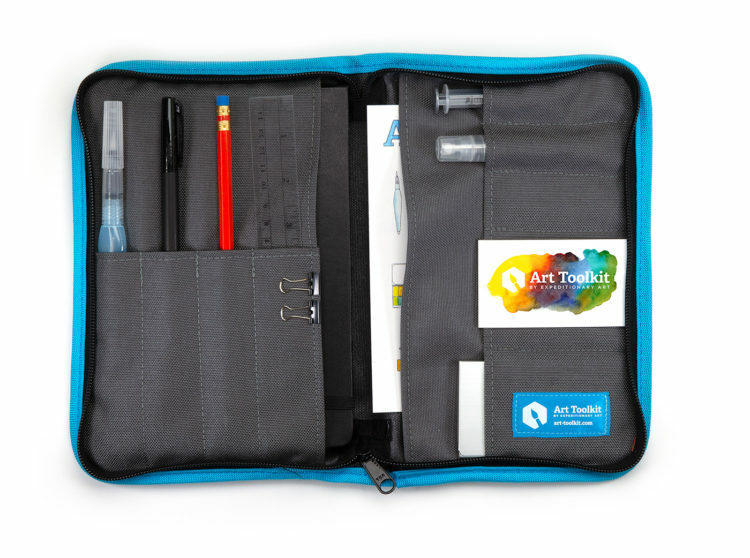 It also fits perfectly in the rear pocket of the Art Toolkit. Learn more about the Pocket Mister and see additional photos on my blog. 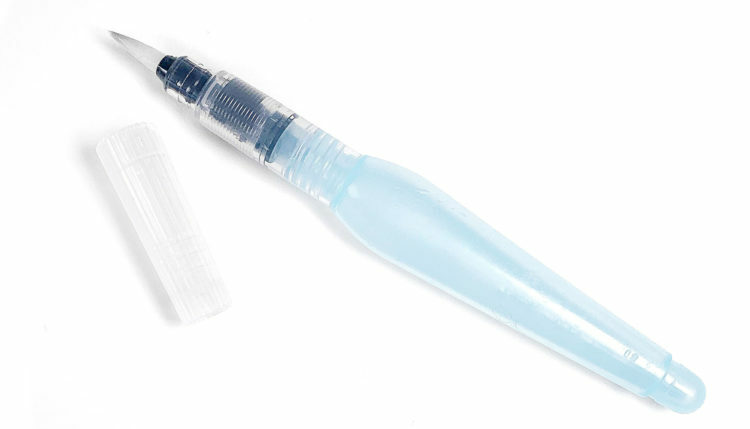 This small syringe is perfect for filling waterbrushes while out sketching. Use it to easily transfer water from your water bottle to your brush without spilling a drop. 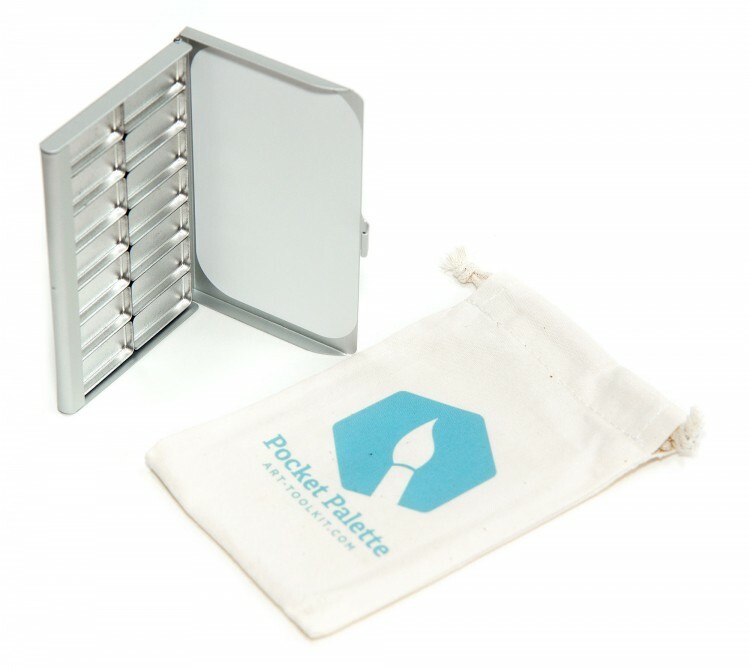 At just 3″ long when closed, it fits perfectly in any sketch kit. 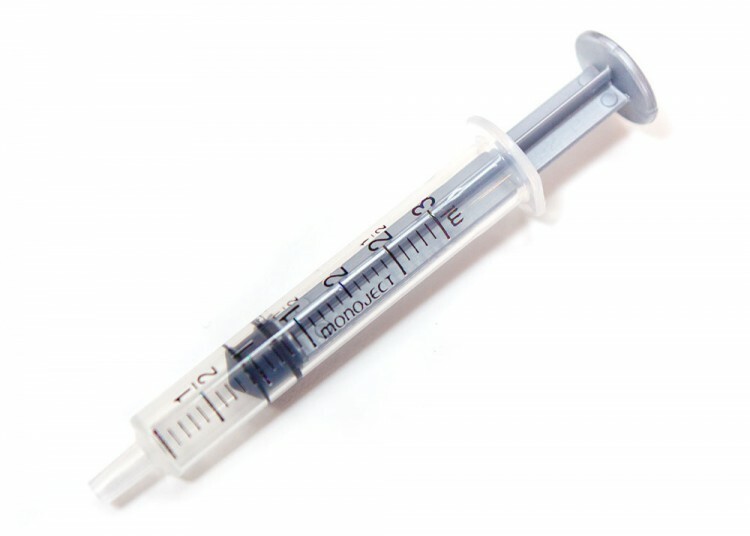 Read more about the Refill Syringe on my blog. These syringes do not have needles. Waterbrush not included. My family and I hand assemble the Art Toolkit materials and do our best to ship orders as soon as possible from Port Townsend, Washington. We ship via USPS and orders typically arrive within one week, if not sooner! You will receive a confirmation email after your order has been shipped with a tracking number. If you would like expedited shipping, or to use another carrier, please email us: hello@expeditionaryart.com. If your order says it has been delivered but you have not received it, please contact your local post office to find out if your package is waiting for pickup or will be redelivered. In addition, you can print out a copy of the USPS tracking page and leave a note in your mailbox for your local carrier stating that you haven’t received your order and ask them to deliver it to you. They may have delivered it to the wrong address and know the whereabouts. Packages usually do not stay lost! We accept all major credit cards, as well as Pay Pal. If you prefer to pay over the phone, please call Maria: (206) 708-9405. I found the Toolkit when looking for a way to start doing my art again. I’m excited to have something so compact and professional. Your journal kit is so well thought out and portable. Thank you! I love the pocket palette, I’ve found that carrying two still feels like I’m keeping it simple, as they are amazingly light weight and thin, and clip into place so easily for accessibility while painting. Your palette is the best that it’s possible to find in the world. It’s small but very well made, sturdy, and simple to use. Thanks very much for the palette and pans! I need to lighten my supplies and these look absolutely perfect. 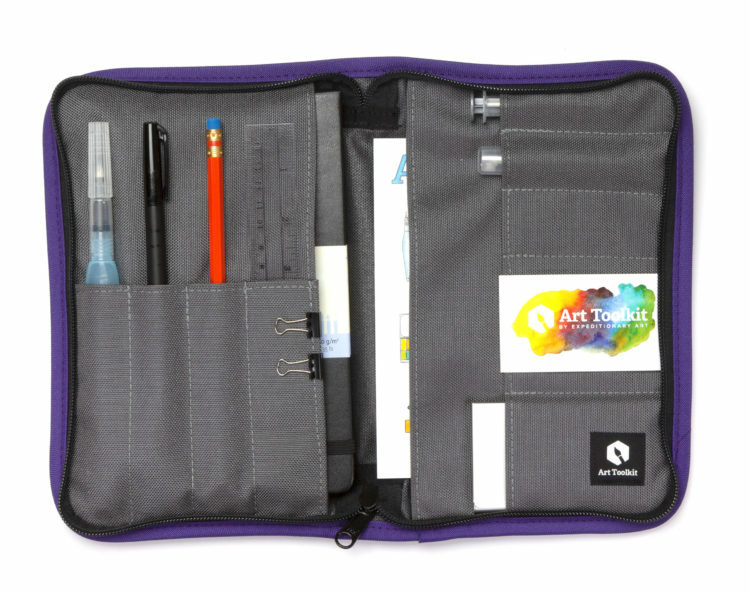 I am traveling and have the Pocket Palette and some waterbrushes in a cloth pencil case with me. I can literally carry my paints anywhere. Love the Jumbo pan sizes. They’re also good for people who use larger brushes. I like the Pocket Palette because it’s small, has interchangeable pans, and frankly, it’s cute. I’ve almost lost it already, my friend got “grabby” hands over it!